While the average slot gamer plays for a mix of entertainment, good old-fashioned fun and some nice payouts, every player dreams of that one spin that transforms a coin into a serious jackpot. 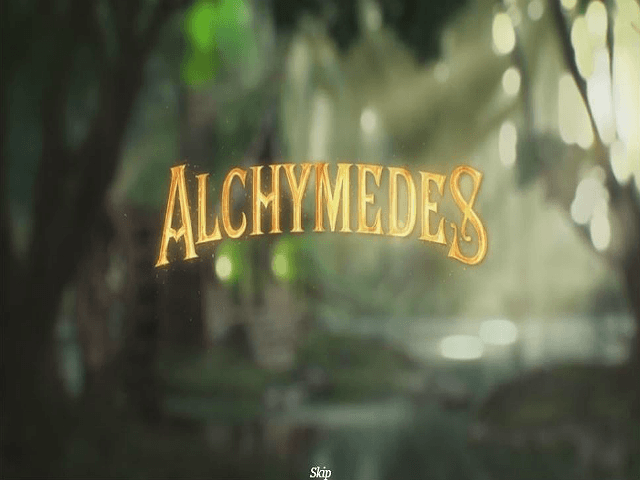 This is the theme of Alchymedes from Yggdrasil Gaming, taking you into a five-reel dimension where philosophers like Archimedes can be found seeking the universal elixir that turns base coins into 500x multipliers. The question is: does this 30-payline online slot game have the winning formula when it comes to playability and payouts? Read the following Alchymedes slot guide to find out! Play Alchymedes for Real Money! 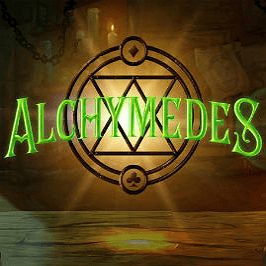 Alchymedes, from the well-respected Yggdrasil Gaming, takes you back 2000 years into the secret laboratory of the Greek philosopher and alchemist, Archimedes. The screen contains five reels, four rows and 30 fixed paylines, spinning between bubbling potions that hold the key to big wins and bonuses. The game's high value symbols are potions with lower value icons being gem-like playing card symbols surrounded by geometric shapes. The Big Green Wild substitutes for all other symbols to complete winning spins. 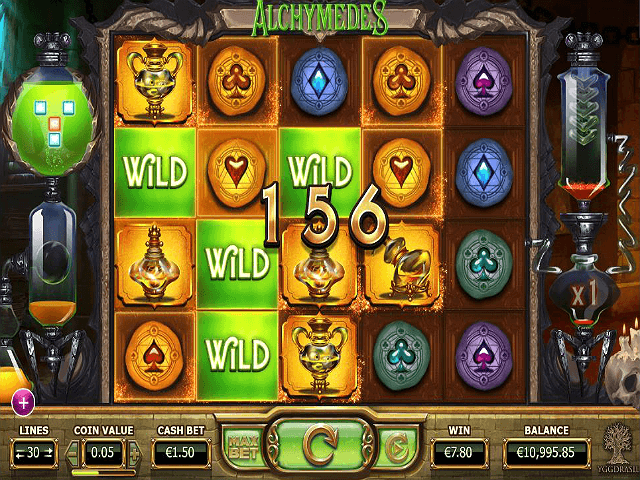 Gamers with a love for magic will fall for the charms of the mystical music and sound effects of Alchymedes – and with a return-to-player of 96.10%, it's another winner from Yggdrasil! Wild Patterns = The potion vial bubbling to the left of the screen shows the active wild pattern – including one marked with the alchemist's red ink. If a player spins and matches the red wild, then all the green wilds will also magically match, leading to bigger payouts. The alchemist creates a new wild pattern when a gamer levels up. Multi-Level Feature = Spinning the reels and matching winning combos helps to increase the potency of the multiplier potion brewing in the vial on the right of the screen, while also transforming the reel into gold. Once every reel position has been transformed into gold, the gamer moves up a level. Then, the multiplier strength of the potion is measured by the alchemist and applied to the last win. 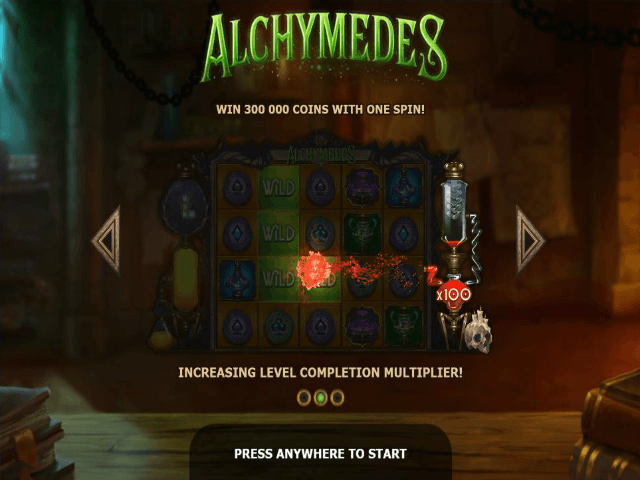 The Alchemist's Scale = After each level the Alchemist's Scale screen appears with rich graphics and a weigh-it-up decision for the player: opt for a more powerful wild pattern or a multiplier boost. 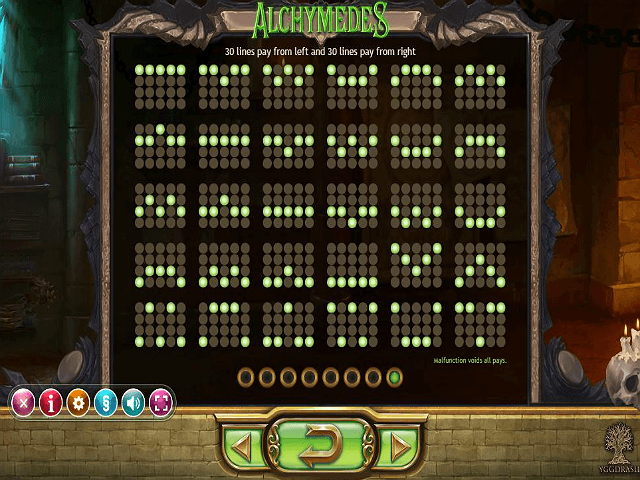 Alchymedes Bonus = When the player successfully navigates a level, they may be rewarded with one of six random bonus from old grey beard, Archimedes: bonus coins up to 2000, 2x basic multiplier, 3x basic multiplier, boosted spin multiplier, one bonus wild pattern, or two bonus wild patterns. The Alchymedes slot is a graphically and audibly appealing game that will take gamers back 2000 years in time – or at least remind you of messing about in chemistry at school. With 500x jackpot potential, it might not deliver the secret to eternal life, but it could turn spare change into something special! Share this Alchymedes Review today! If you like Alchymedes, you'll love these slot titles too!